Like many dermatologists, I sell the Clarisonic cleansing system in my office, but at over $100 not everyone will want to buy it. Now there are at least two relatively inexpensive alternatives on drugstore shelves that work very well. 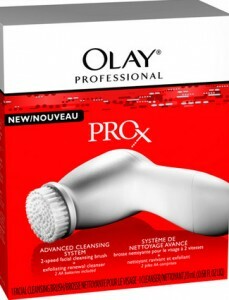 Olay Pro-X Professional Advanced Cleansing System ($29.99, Walgreens.com) and Neutrogena Wave Sonic Spinning Power Cleanser ($13.99, Neutrogena.com) cost a fraction of the Clarisonic’s price, but will still make a difference and leave your skin cleaner than your hand or a washcloth can. Do not use if you have rosacea or eczema.